This will be yet another LONG post! I thought I would kick thing off with one of my recent grocery shopping hauls! I stopped in at my local ALDI and just wanted to find something for my lunch during that specific work day and I walked out with a slew of stuff! Ironically, when I was thumbing thru my YouTube Feed later that day - BOTH No Egg Craig AND The Vegan Zombie had posted ALDI Videos with the same items! Check this out! Not only do they have a new Vegan Ranch they have a Vegan Harissa Ranch! I tried the Ranch last night and it was pretty tasty. It was thinner than most Ranch Dressings and was a bit heavy on the vinegar so it was like a Ranch Vinegarette but I still liked it! This next photo is the actual haul! I grabbed 2 dressings (they also sell a Vegan Cesar but I didn't buy that one), Potstickers, and Vegan Cream Cheese. The 'patties' I found at my local ALDI were the Lentil (which were AWESOME), Asian, Thai, and BBQ Chicken. I also grabbed some Guac, Vegan Moz Shreds (which I tried before), Frozen Cauliflower Rice, and Bread/Thins. First up is this Cucuzza Squash. It's the first time I have seen this in my area! I have been thinking about it ever since so I might have to go back to see if they still have some. I found this at my local Tops. 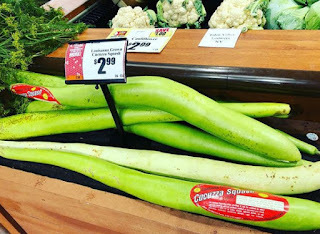 I haven't cooked with it YET but have heard you can cook it like any other squash. Yesterday I stopped into Family Dollar to get some Unsweetened Ice Tea and noticed Love Beaty and Planet Shampoo and Conditioner. I read the back of the bottle and found they were vegan - among other things! I was pretty shocked that they were priced at $7 each at Family Dollar but all-in-all was THRILLED to see them there. I have never seen or bought this line before and might try it at some point - just not now. $7 Shampoo and Conditioners at Family Dollar. I'm not sure if I have ever seen that before. If it were $2 or even $3 - I would have JUMPED ON IT! I guess I'm just CHEAP. I guess I should say...THRIFTY, eh!? So...I haven't done my Concert Recap YET from Fair Week so I guess now is as good of a time as any, right? 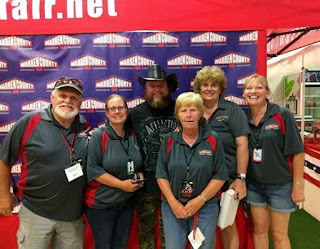 I really slacked on photos this year, it seems, but here is one that I did get from the Colt Ford Concert and Meet & Greet. 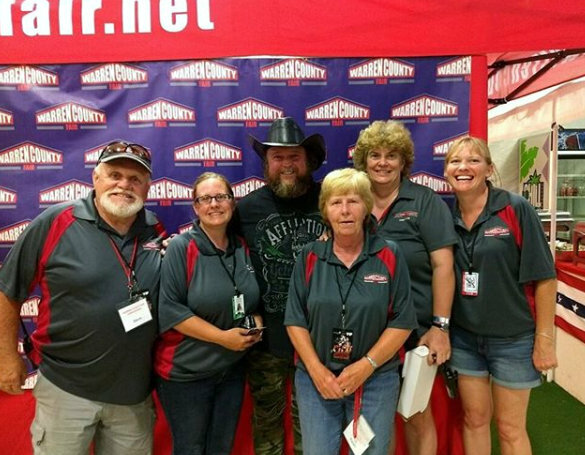 From left...my Dad, me, Colt Ford, my Mom, Patsy (who is a director), and Missy (who is one of the fair photographers). 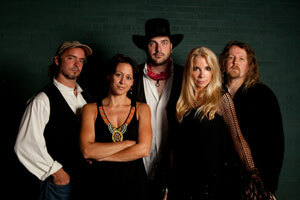 Colt Ford was our Tuesday show. On Wednesday we had Ben and Noel Haggard with opener Allie Colleen. Both acts have music in their blood and are the 2nd generation of performers! 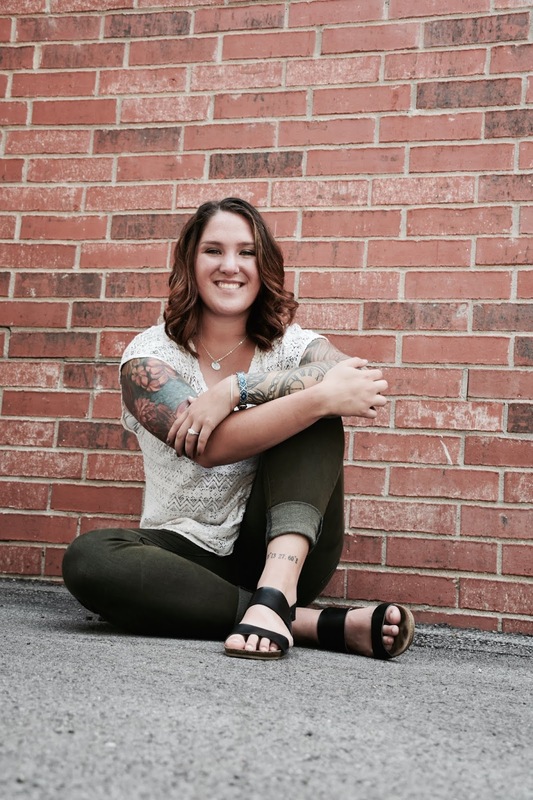 This is a photo of Allie Colleen. Her father is Garth Brooks. Her performance was AMAZING! She has a great voice. She had a wonderful connection with the audience. And she is so sweet! I spoke with her a couple of times when she first arrived and again before and after she went on stage. Funny thing...I'm short...not quite 5'2"...Allie Colleen is quite tall and has a strong handshake. Even the guys were saying how firm her handshake was! You GO Girl! She was a peach! VERY talented! I wish her all the BEST! Noel and Ben Haggard are 2 of the sons of Merle Haggard. They also performed. I didn't catch much of their concert because I was handling a few other issues backstage and with the vendors but what I did hear was well received by the packed house. Those two acts were on the stage Wednesday...then on Saturday...were these guys! They are a tribute band. Can you guess which band they are a tribute band of? If you guessed Fleetwood Mac - you are correct! They were AMAZING! They were my favorite act of the week! They were 'on point'...isn't that what the kids say, these days!? Regardless, I am now a fan of theirs and hope to see them again someday! They put on a wonderful show! Those were the acts we had at our fair during fair week. 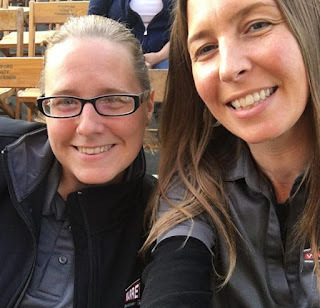 THIS week, a friend of mine and I were lucky enough to get some tickets to the Alabama Concert at the Crawford County Fair. 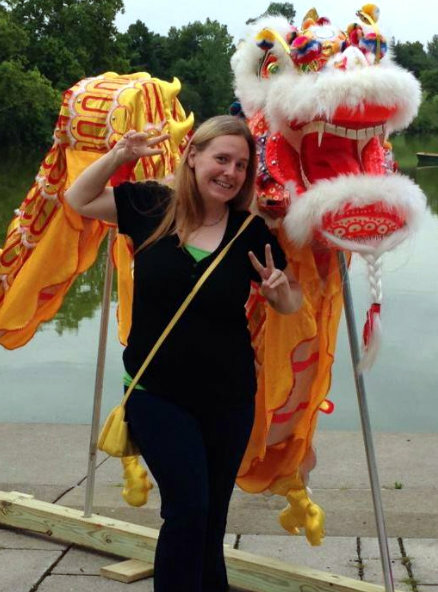 Here is a photo of the two of us. We both worked full work days that day and drove after hours to the concert and then drove back. It was TOTALLY worth it! One of their members no longer tours due to him having Parkinson's but the other two members were really great and their band was terrific, too! Memorable show, indeed! Special THANKS to those who reminded me of the upcoming Vegan MoFo! I signed up with seconds to spare! That might be a little dramatic but I was cutting it close to the sign-up deadline! Please let me know if you will be participating in this year's Vegan MoFo! I've done it for YEARS but the last 2 years it was a bit hit and miss with my posting for it. Hopefully, this year will be different and I will be more active with it again! 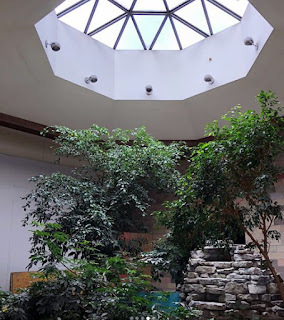 Like I said...another long post...and I haven't even gotten to the Mall Photos...YIKES! So...here's the scoop on our local mall...it was booming up until the mid 90s and it's been dieing and slow and painful death ever since. Right now they are in the process of ripping it apart. The plans have changed many times and to be honest I can't keep up with how the end of the project is supposed to look. I will have to wait and see just like everyone else, I suppose. 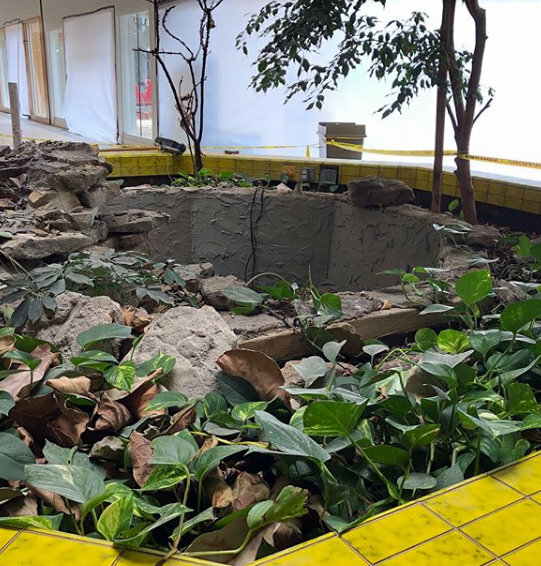 I mentioned in a previous post that they were going to be scrapping all of the plants and trees. Yup! They were pulling them out and throwing them away! A co-worker and I (with permission) tried to grab some of them to see if we could grow them from snippets. In the photo above, I always did like the sky lights. 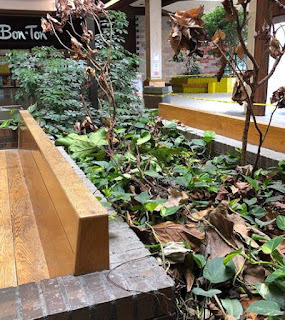 It was the sole reason this greenery survived as long as it did because no one has been taking care of them in YEARS! Next to NO water has been applied either. Just sunlight. In this next photo, you can see many of the plants are dead but some are still trying to survive! I hope our experiment works and we can save the ones we took! In the background you can see The Bon Ton. It's closing this week. It's one of the very few clothing store in our small area. It's a shame to see so many businesses go under here. To the right you can see plastic and light...that goes to the outside. They ripped off the front of the mall and are making it into a strip/plaza type thing. In this photo, you can see what I am referring to even better. All of that plastic tarp is 'outside'. They used to be stores. They are no longer. Up front, you can see more plants. There used to be fountains there, too, but they have been empty for YEARS. All of that will be removed. Since they have made the decision to remodel and rework this dead mall...we have seen a Dunham's Sports and Ollie's Bargain Outlet move in. I've heard the next thing to open will be a Shoe Show but I haven't see the sign yet. The only other stores remaining are a Label Shopper, Lee Nails, and a pizza place...all of which have had to move. 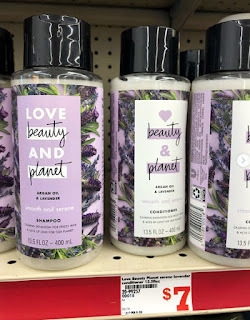 I just saw those love beauty love the planet products at Smith's the other day. They're more than double that price there believe it or not! I passed too. I call it being thrifty too!! I'm doing mofo too!! Woot woot!!! Can't wait to see your Vegan MoFo stuff! Good to know that that product was actually on sale eventho it was still $7! 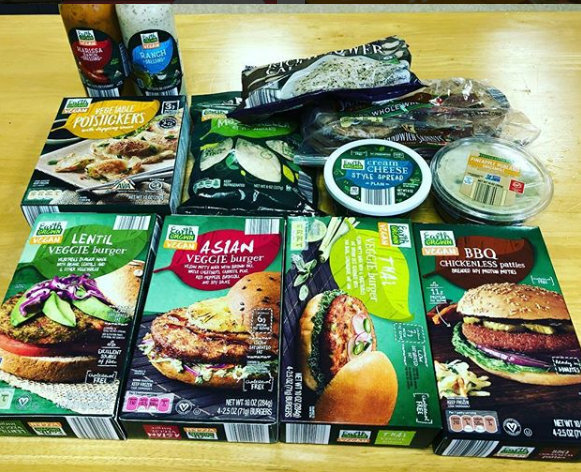 Awesome vegan Aldi haul; the potstickers sound fun! That's great that you signed up for Vegan MoFo; I'm looking forward to your posts! Thanks for the Vegan MoFo encouragement! Hope you post, too! I haven't tried the pot stickers but I have heard good things about them! Ooooo...I love Garth Brooks and Merle Haggard too...and Fleetwood Mac no less. Their Songbird is an all-time favourite. It was a FUN (but busy) Week! I tried to go to Aldi recently and the offerings must vary a lot by locale, because they had hardly anything vegan at mine--but it's okay, because I realized I prefer being thrifty at some other stores, anyway. I would have a hard time paying $7 for shampoo at Family Dollar, too. 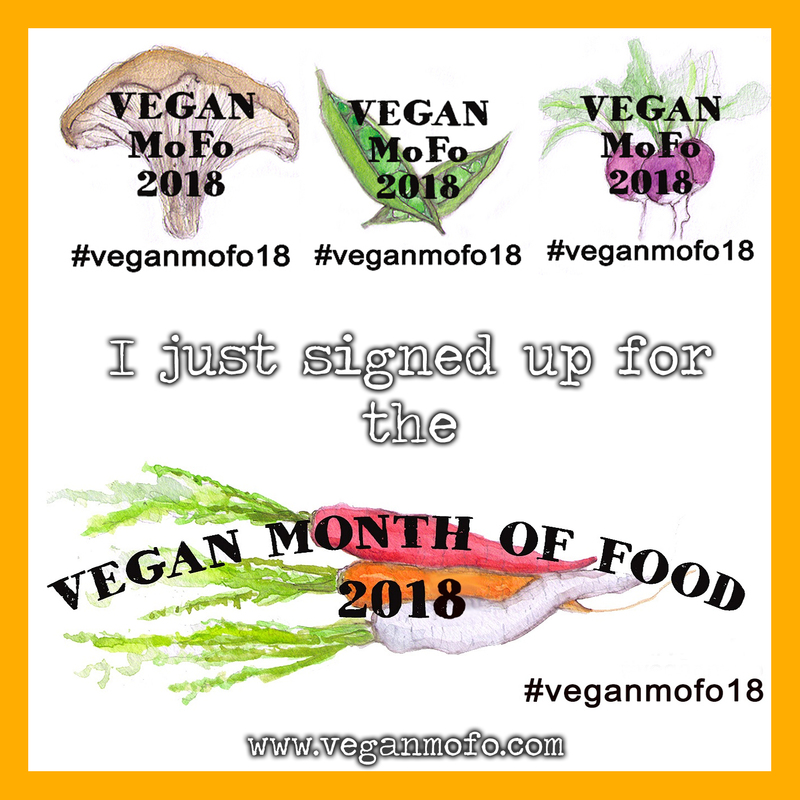 I'm excited about VeganMoFo! It's my first time doing it. 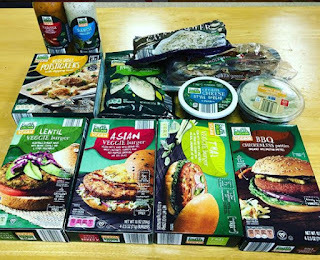 The last time ALDI had a push with their vegan line - my ALDI didn't have anything, really...just 1 or 2 burger. This time - I was SHOCKED at how much they had! Keep an eye out - they might surprise you in the near future! Great haul from Aldi! I've heard of all of the vegan products that they started carrying but I don't really know of any Aldis by me? I'll have to do a search because your haul looks awesome! Glad you enjoyed the concert! I hope you are able to find an ALDI near you! 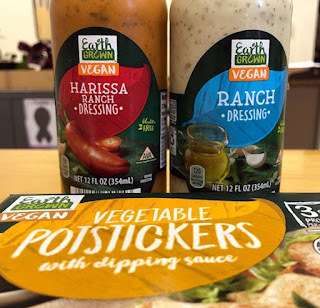 It's a place we shop often...and now they are offering all of these vegan products I hope to grab even more! It's weird, tho, because sometimes they have them and other times they don't. I heard that some will be on a limited run and others will be for certain locations. I hope our area gets more and keeps getting more! So much great stuff in this post, great shopping haul! Kind of sad what's happening to malls, our huge local mall is going through an overhaul too focusing on entertainment vs. shopping now. Very exciting on VeganMOFO, we're getting busy planning for the Sacramento Vegan Chef Challenge month coming up! Thanks so much! I'd love to hear more on your local mall overhaul, too! And I can't wait to see and hear more about the Vegan Chef Challenge! Fun! Fun! I never find awesome vegan things when I go to Aldi. I think that Australian Aldi doesn't have the range compared to the US Aldi's, which is sad. I rarely go, but I always go once a year for their Dutch week! OMG! SO MANY GOOD ALDI FINDS! I gotta take a look for those, I actually remember seeing that harissa ranch on one of my last days working there and put it back. I totally regret not taking a closer look!